More futuristic technology once seen only in the movies is making its way into the real world - we’ve already got everything from advanced virtual reality systems to self-tying sneakers. Now, Panasonic has shown off an updated version of its transparent TV at Ceatec that looks as if it came straight from a sci-fi show. First unveiled at this year’s CES, the concept product's transparent pane of glass is unrecognizable as a television until you push a button or wave your hand to switch it on. 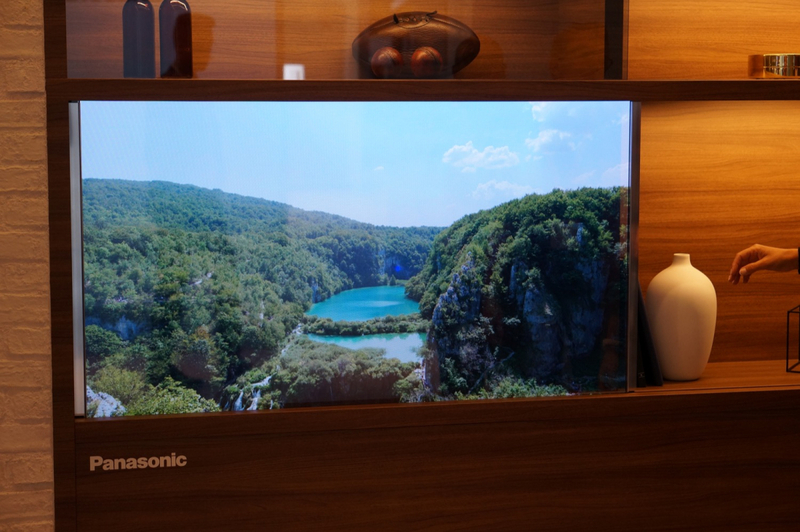 Panasonic wasn’t happy with the transparency of the first model it showed off, so it has upgraded the TV to the point where it's almost indistinguishable from a standard glass panel. It now features an OLED display instead of LED, no longer requires external lighting sources to enhance the image, and offers a much brighter and clearer picture. When operating, it looks almost exactly like a regular television. The screen is created from a fine mesh and can be embedded into glass on any type of furniture - in this case, a sliding door on a large display cabinet. Panasonic also showed how the technology could be used as a door on a wine and sake cellar. The screen can display information such as the best temperature for the items, and touching a bottle via the glass door will bring up recipes that go well with beverage, based on what food is in the connected fridge. Sadly, it will be some time before these transparent TVs hit the market. A Panasonic spokesperson said they would likely be in development for at least three more years. Best start saving now.